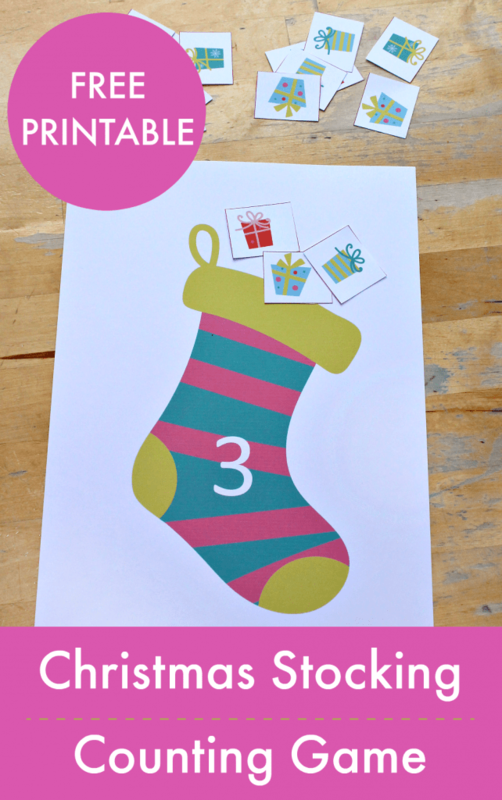 Use this Christmas stocking counting math game printable to practise counting to ten. 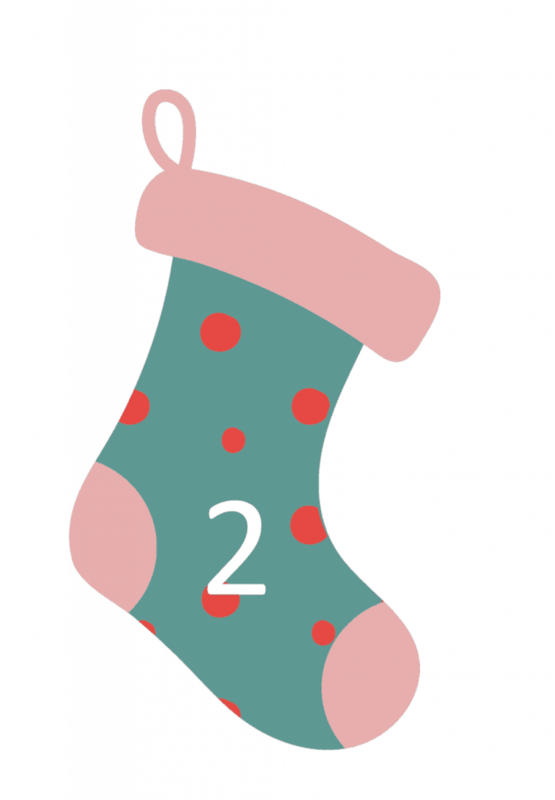 Print off the Christmas stocking counting game printable onto card (see how below), and cut out the present counting cards. You can also use the present cards as loose parts to make patterns. Spotting, following, and creating patterns are important skills for math and literacy. You’ll use these skills to discriminate odd and even numbers, when you skip count and multiply, and as you learn how to spell. 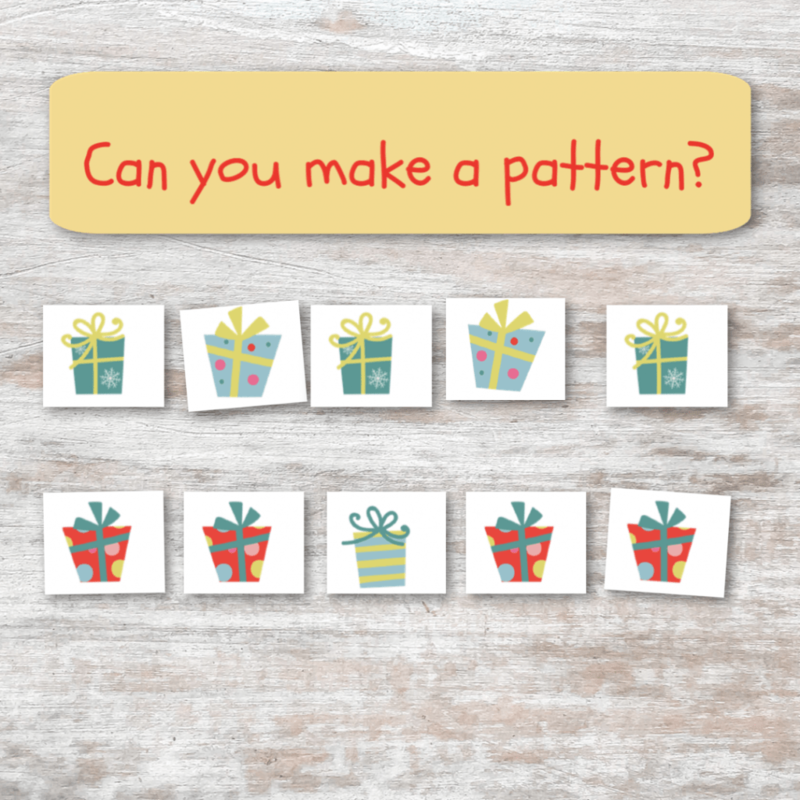 You might get your children started with a pattern to follow, have them make up their own, and invite them to start patterns for their friends to copy. You can start with simple ABABAB pattern sequences, and include more complex patterns such as AABAAB and ABBABBABB sequences. You are so creative and generous with your ideas! I am retired, but I do sub. I enjoy keeping up with you for subbing ideas and for art with my grandchildren. Thanks Fran! Art with grandchildren sounds so lovely.